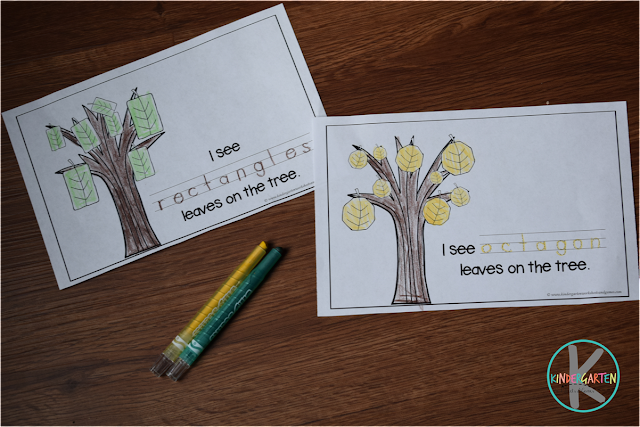 Kids will have learning about shapes with this free printable fall shapes emergent reader. This is a LOW PREP and fun way for kids to learn about shapes with a fun fall theme. To make this free printable, simply print these black and white pages and cut in half. Make sure the cover is on the top, then staple together to make fun books kids will love. Give each student a book and a box of crayons. Kids will then color the trees and leaves. Then they can trace the shape word. 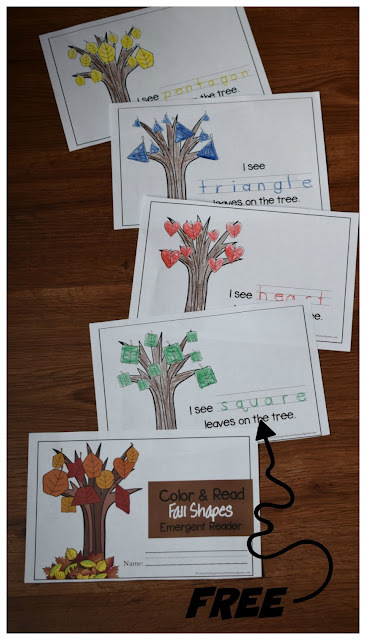 This is such a fun fall math activity that is fun to make! Looking for more fun ways for kids to learn about shapes? Your kids will love these family favorite shape resources.